Pool Cleaning Service Avondale - Contact Our Pool Cleaners Today! | Universal Pool Service Inc.
With temperatures during the summer months averaging over 90 degrees Fahrenheit, residents in Avondale, AZ will need to find ways to escape the sweltering and dry heat. One of the best ways to cool down on a hot summer day is by jumping in a clean, refreshing, and shimmering swimming pool. In hot and dry climates, such as the one in Arizona, you will likely find that many homeowners own a swimming pool. As much fun, exercise, and entertainment that swimming pools bring, they can be difficult to maintain and keep clean. That’s where reliable pool cleaners, such as the ones at Universal Pool Service, come in. At Universal Pool Service, we have been providing Arizona pool cleaning services in areas throughout the state, such as Avondale, for over 15 years. 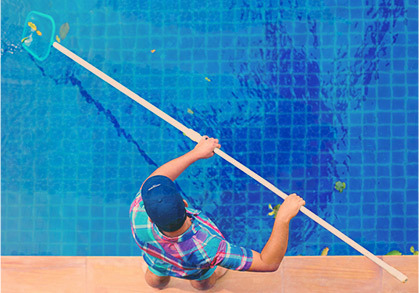 Whether you own swimming pool and are in need of cleaning, repair or pool maintenance, the team at Universal Pool Service has the knowledge, experience, and equipment to help customers with all of their pool needs. Don’t waste precious time skimming debris out of your pool, messing with its overwhelming amount of systems, or trying to fix a pool that isn’t operating properly. Instead, call in the professionals to handle swimming pool maintenance, care, and repairs. If you want your swimming pool to always look its best, contact our swimming pool experts today! Dirt, debris, algae, and other contaminants can make a pool look gloomy and dreadful, likely making those about to jump in second-guess their decision. In order to keep your swimming pool in optimal condition, you will want to find a reputable and reliable company that specializes in pool cleaning services. A reputable company will provide excellent service that is reliable, quick, and transparent and will possess the proper experience and tools to do so. There are plenty of pool services in Maricopa County. However, by choosing Universal Pool Services, you can rest assure that our quick, friendly, and affordable pool services will keep your pool looking its best so that you don’t have to. It will be tough to find another pool company as reliable, transparent, and affordable as Universal Pool Service — request a free swimming pool maintenance quote today! 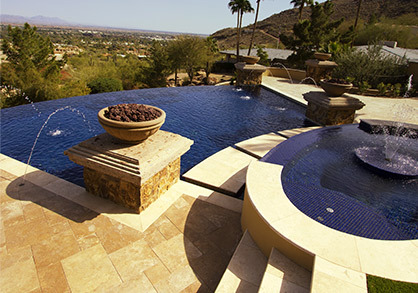 Learn More About Our Pool Services in Avondale, AZ Today! Pool Chemical Maintenance – Without the proper care and maintenance, swimming pools can quickly become unsightly. Nobody will want to even dip their toes in a pool that looks as if it is contaminated or filthy. In order to keep a swimming pool clean, safe, and sparkly, a blend of the appropriate pool cleaning chemicals are needed. The pool experts at Universal Pool Service understand how to assess and control the proper balance of swimming pool chemicals in order to keep your pool clean, sanitary, and safe to swim in. Get Pool Chemical Service Pricing Now. BBB Maintenance – One of our most popular pool cleaning packages, BBB Maintenance by Universal Pool Service is just what pool owners need in order to keep their pool clean, safe, and optimally performing without having to lift a finger. This pool maintenance service package saves pool owners from having to do all the time-consuming and bothersome tasks necessary to keep a swimming pool in great shape. This package includes brushing, backwashing, cleaning pool strainer baskets, plus swimming pool filter repair and flushing. If you are looking for monthly pool cleaning, BBB Maintenance is just what you need. Get BBB Maintenance Pricing Now. If swimming pools could be enjoyed without having to worry about cleaning, repairs, and maintenance almost every home would have one in their year. With the help of complete pool services at Universal Pool Service, pool owners no longer have to worry about the maintenance and cleaning needed to maintain optimal performance and cleanliness. With effective services like pool filter flushing, cleaning, and swimming pool chemical balance our team will help ensure your swimming pool stays clean, safe, and refreshing throughout the summer. 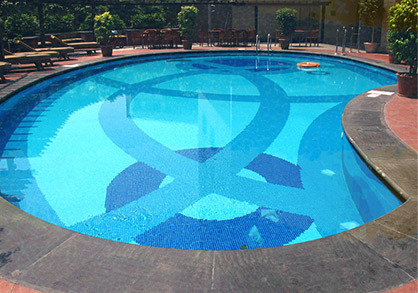 When you hire us, you can rest assured that the details of pool maintenance and cleaning will be handled. Whether you want monthly or weekly pool service, our team can help! Get Complete Pool Service Pricing Now.